Our Products and EBooks include free future update. This is a great feature from the customer’s point of view. When we release new version of our products, the easiest way to get the new version of product is using Trading Investment Helper. You can download the Trading Investment Helper for free always in this page: https://algotrading-investment.com/product-installation-guide/. After downloaded and unzipped it, just start the Trading Investment Helper. When the newer version is available to download, the Trading Investment Helper will highlight the product with newer version in red color (alert). To download newer version, select the product from the list, then click “Download Product” button. Once you have downloaded, click “Remove Alert” button to dismiss the Red highlighted row. That is it. To get new update for your purchased products alternatively, you have to login to your account page first. 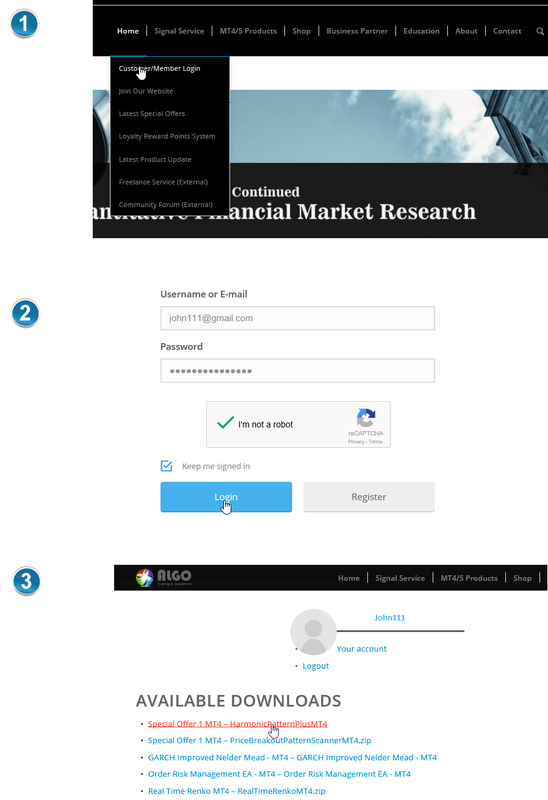 There are several ways to login to your account page. You can click on “My Account” page button on the top right corner of our website. Or you can click on “Customer/Member Login” page on our home menu. Once you see the login page, simply enter your email address and password. Next press “Login” button below to move to your purchase page. Once you have logged into your account page, you will get access to the download links for our products. Through this download links, you can download our products again and again whenever we update our products to newer version. To install the newly update for our products, simply you need to download the updated products to your hard drive. Once you have downloaded the product file in your hard drive. 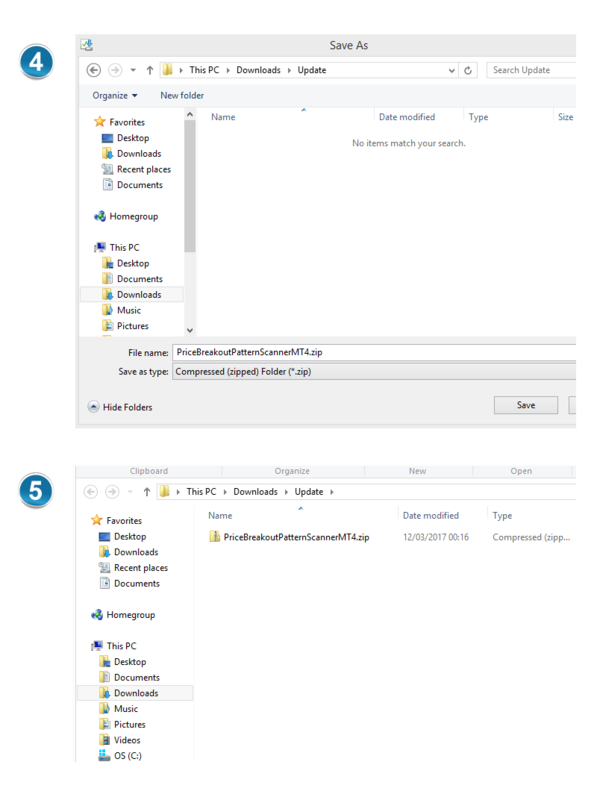 Unzip the product file, then put the unzipped product file (i.e. product.ex4 or product.ex5 files) to your typical Meta Trader Indicator folder or to the Expert folder if they are expert advisor. To do so, open your Meta Trader terminal. Next, click on “Open Data Folder” menu from File Menu. 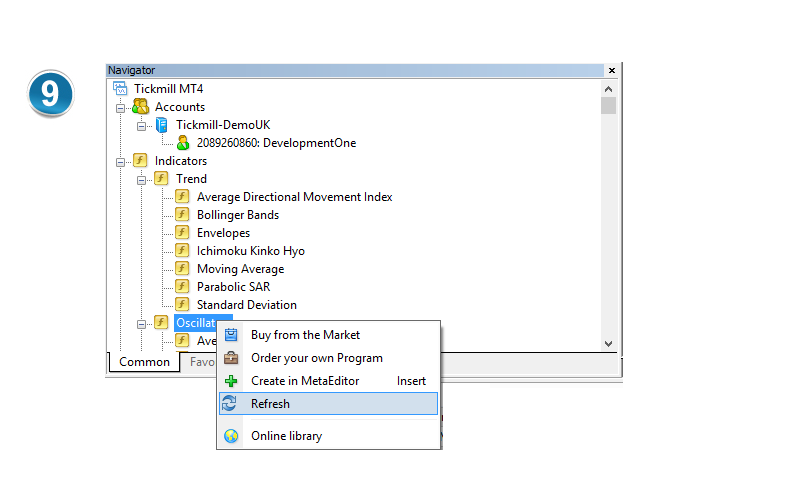 Then move to your indicator folder to copy your product.ex4 (or product.ex5 files). 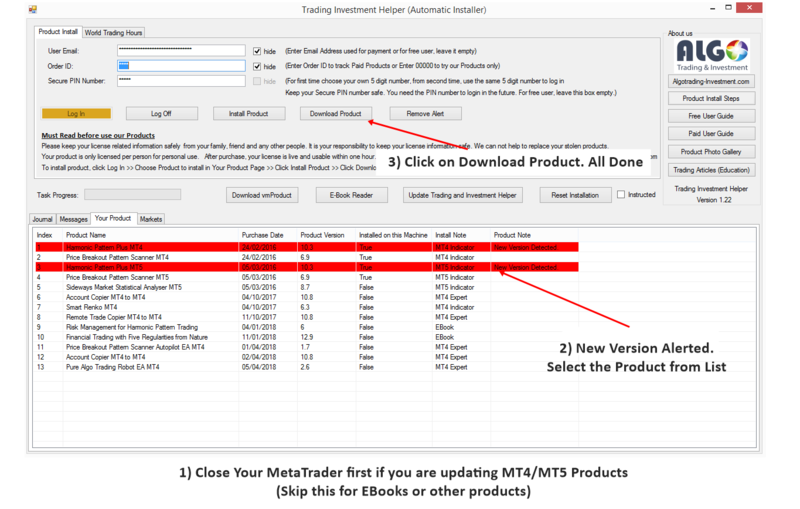 Once you have copied the product files to your Meta Trader folder, refresh your navigator to see the newly installed product file in your Meta Trader. 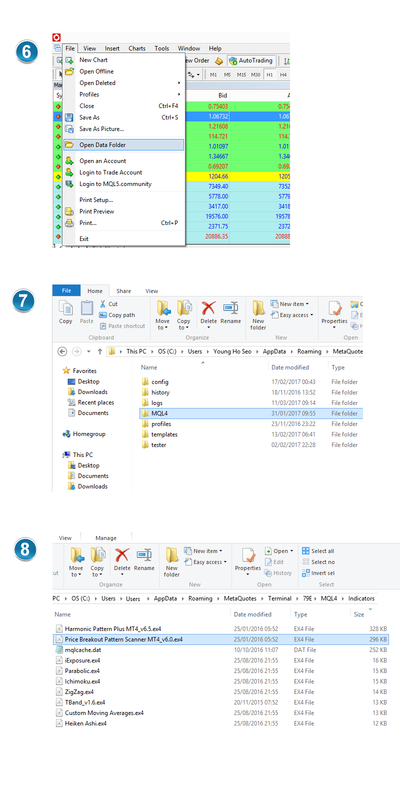 If you have successfully copied the product files to your Meta Trader folder, you should be able to see your product file from your navigator in your Meta Trader. If you have bought our MT4/MT5 products from MQL5.com, then you can read “Install our MT4/MT5 products when you purchased them from MQL5.com” page.